Musiconomi, a blockchain-based ecosystem for the music industry, is holding a crowdsale on July 28 to August 28 to raise $18 million. It uses smart contracts to distribute compensation to artists each time a song is played. A total of 100 million tokens, called MCIs, will be distributed in the crowdsale, which will have a minimum threshold of $6 million. The token will grant users access to different tools within the platform. Musiconomi marks the second startup to pass through Cofound.it’s crowdsale incubation program and will leverage its Priority Pass mechanism as a part of the sale. 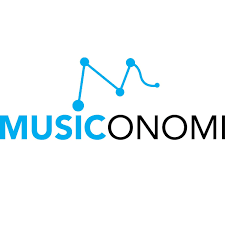 “Musiconomi is a blockchain-based platform, which in addition to being a world-class streaming service, encourages musicians, fans and industry experts to share, collaborate and participate by offering immediate payment,” said Elio-David Di Iorio, Musiconomi chief organizer. The legacy music industry is hampered by the intermediaries taking revenue away from artists and leaving them little visibility and no way of verifying they were fairly compensated, Di Iorio said. Musiconomi, which makes transactions visible via the blockchain, offers new transparency to the industry and removes intermediaries, rewarding artists more fairly, he added. “Unlike traditional music streaming services like Spotify, Google Music, and Pandora, Musiconomi is built to include non-musicians to participate directly in the music economy,” Di Iorio said. He said Musiconomi will also focus on independent musicians and micro-labels, which are not well served by the traditional music industry.